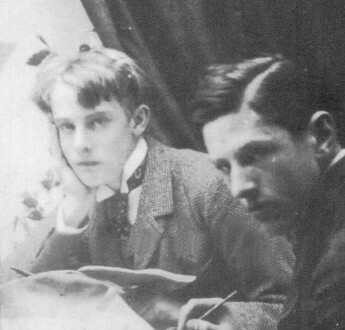 Lord Alfred Douglas, nicknamed Bosie, was a young aristocrat and poet, the youngest son of the Marquess of Queensberry. He looked like an angel: fragile, with a very pale complexion, blonde hair and blue eyes, but often appearances can be deceptive and this case was no exception. The story of his relationship with Wilde began in 1892. Bosies’s cousin, Lionel Johnson, had lent him a copy of “The Picture of Dorian Gray“, and after reading it “fourteen times in a row” he wished to be introduced to the author and so at the end of June 1891 Lionel Johnson accompanied his cousin in Tite Street and introduced him to Oscar Wilde. At the end of June 1892 Douglas needed Oscar’s help, because he was being blackmailed. Oscar, thanks to his lawyer George Lewis, solved all and since then they started to date and by the end of December 1893 they had become inseparable. The rumors about their lives ran all over London. The writer had little desire to hide that relationship and Bosie was even more eager to show it, as he wanted everyone to know that he was Oscar Wilde’ s “favorite”. In a letter to his friend Robert Ross Oscar writes:”My dearest Bobbie, Bosie has insisted on stopping here for sandwiches. 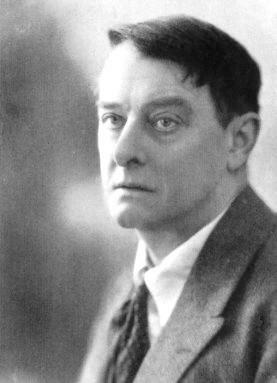 He is quite like a narcissus – so white and gold (……..)Bosie is so tired: he lies like a hyacinth on the sofa, and I worship him”. Oscar was even introduced to Bosie’s mother, Lady Bracknell, and he made her one of the characters of his most popular comedy: “The Importance of Being Earnest“. However, Bosie was not that “angel” he apparently seemed to be, but rather, he was usually described by his closest friends as spoiled, reckless, insolent and extravagant. He used to spend money on boys and gambling and expected Wilde to contribute to his expenses. 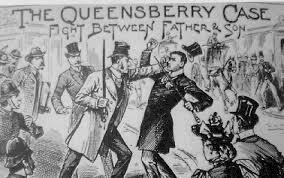 It was Bosie who introduced Oscar to the circles of young male prostitutes, rent boys who were readily available in spite of (or perhaps because of) the moral climate of the straight-laced Victorian Period. Wilde did nothing but follow him dispensing money, gold or silver cigarette cases and other gifts. He once said that attending these young guys was like “feasting with panthers. Alfred Taylor (son of a manufacturer), Sidney Mavor (future priest), Maurice Schwabe and Freddy Atkins, Edward Shelley for a short time and Alfred Wood, a boy of seventeen, who blackmailed him obtaining 30 pounds, were some of those “panthers” who crowded Wilde’s chamber. Since 1893 Wilde preferred to stay in a hotel to avoid scandals in order to meet freely and secretly his young lovers, but Douglas, instead, was not interested in hiding at all: he always entered from the main entrance. 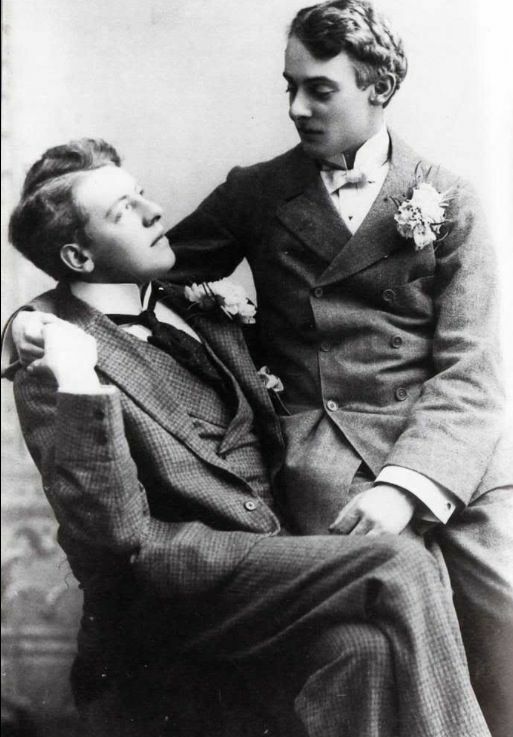 His friends were concerned and disappointed mainly because Bosie’s imprudent behavior exposed Oscar to very serious risks: it openly violated the “Criminal Law amendment Act” of 1885 , an amendment which made “gross indecency” a crime in the United Kingdom. His friend Pierre Louys visited Wilde in the hotel with his wife Constance, who tearfully pleaded her husband to come home, but it was a failure. Wilde’s first serious risk was the case of Philip Danney, a sixteen year old son of a colonel who on Saturday went to bed with Douglas, with Wilde on Sunday and on Monday with a girl at Douglas’s expense. When the young man then returned to school, he was not able to produced a justification for the school days he had missed, the whole thing was discovered. His father went immediately to the police, but on the advice of his lawyer, as the guy seemed unwilling to make the name of Wilde, he realized that it was better not to act, even because his son risked to be imprisoned. After a furious fight with Oscar, Alfred Douglas left for Cairo, while Wilde hid in Paris and somehow he regained a certain serenity and he also went to applaud the poet Paul Verlaine, who had recently been released from prison after his troubled vicissitudes with Rimbaud. At that time he also found his creativity back, as he wrote among other things “The Canterville Ghost“, but the sudden return of Douglas ended his desire to write. Once again everything was as it used to be. The prison regime was tough: the poet had serious health problems and by the way, falling awkwardly because of a collapse, he got himself a wound in his right ear that probably would cost him his life five years later, because the infection degenerated and turned into meningitis. 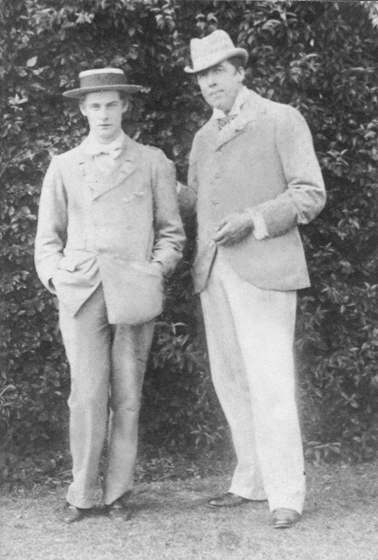 Meanwhile, Wilde had vainly hoped for solidarity and support from his beloved Bosie, who instead had turned away from him proving coldness and callousness; the boy even told him, during his illness, that “when (he) was not on (his) pedestal (he) was not interesting.”Hurt and disgusted by the attitude of his lover, Wilde wrote from jail a very long letter entitled “De Profundis“, in which he expressed his sorrow and his contempt for the vanity and the inconsistency of Lord Alfred, repudiating him formally. Wilde was not authorized to send it, so when he was released, he gave the manuscript to his friend Robert Ross, with the instructions to send a copy to Bosie, who however denied for life to have received it.The letter was published only in 1905, five years after the poet’s death. The prison experience had affected him deeply, since then he cultivated the dream of escaping from the world that had sentenced him and refused his way of being. He moved to France and lived in Paris for four months trying to rebuild his life and trying to forget the man who had brought him to ruin. But love is stronger than reason. 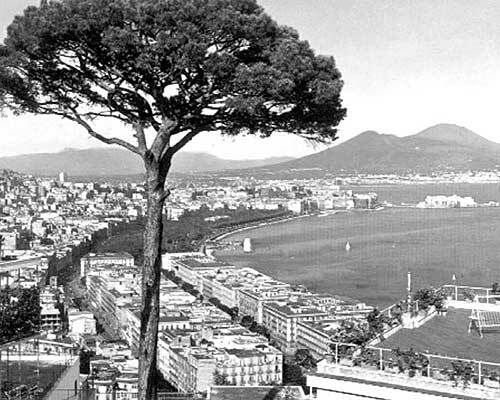 He got back in touch with Douglas and they decided to spend the winter together in Naples.The two lovers lived on Posillipo hill, at Villa Giudice. Although Wilde was traveling as Sebastian Melmoth, his arrival in the city became public soon, the news was even reported by the newspaper “Il Mattino” in an article by Matilde Serao. When they were in Capri, at the Quisisana, as soon as they sat down to dine, the owner invited them to go somewhere else as some fellow countrymen, who had recognized the poet, did not tolerate to be in his proximity. The incident did not remain confined in the island and the two were again on everyone’s lips and the scandal forced the relatives of both to find a remedy. The British Embassy was involved and the two were deprived of their income. 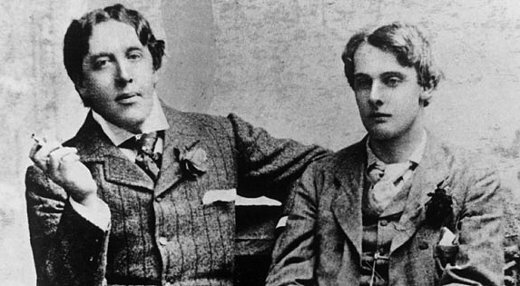 Wilde was thus dispossessed of his small income granted by his ex-wife, while Bosie’s funds were cut by his mother. Bosie‘s mother paid the bills of the couple, and forced him to go back home, while Wilde went to Taormina with the little money received from the mother of his lover. 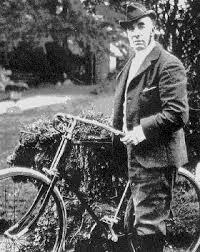 In February 1898 he left for Paris. The relationship with Lord Douglas was now finished. Bosie had finally abandoned Wilde, probably for fear of being disowned by the family. In 1902, Douglas married Olive Eleanor Custance, heiress and poet. They had a son, Raymond, who suffered from a severe form of schizophrenia and died in a nursing home in 1964. The marriage ended soon in a legal separation, but there was no divorce. In the last years of his life, Douglas lived mainly thanks to his maternal inheritance. His father, in fact, had squandered much of his fortune. After the outbreak of the Second World War, he left London and took refuge with a couple of friends in Lancing, West Sussex, where he died of heart failure in 1945. Eighteenth century France. Grenouille‘s early life had not been easy: abandoned to die by his mother,emotionally abused, exploited; he needs to be loved but the entire world seems to ignore or feel repulsion for him. Grenouille has a peculiarity:he was born with no scent, but at the same time he has the most gifted nose in the world. One day his mind, for the first time, seems to be intoxicated by the most delicious scent he has ever encountered: that of an adolescent girl. He follows it. In the darkness of an alley he strangles her, lays her body down on the ground and smells her scent until it disappears from her body due to death. Pleasure and happiness overwhelm him. There he realizes he might create a fragrance that could stir those emotions in men, he might have made people love him. On this purpose he manages to work for a perfumer, who will teach him everything about distillation. Grenouille will create the best scents Paris has ever smelt from the essences of flowers. But this is not enough. He still keeps in mind the memory of the intoxicating odor of that girl. His obsession will make him kill 24 teenage girls in order to distill their scent. And when eventually he murders the best-smelling girl, Laure, his dream perfume is completed. From now on people will have to love him. Quite soon Grenouille is apprehended and sentenced to death but thanks to the confounding power of the perfume he will escape execution, Laurie’s father will even offer to adopt him. Just one drop and nobody escapes the magnetic force of its spell. But there are no more scents to be discovered, no more goals to reach. He becomes suicidal. One day he decides to sprinkle the entire bottle of perfume on himself. The inebriated mob, suddenly blinded by passion and love, jump on him with the intent of keeping their object of desire for themselves, but they won’t be satisfied till they end up devouring him. 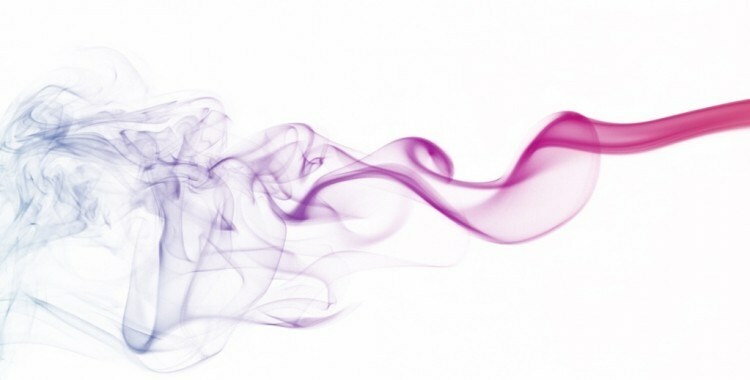 A scent, beauty, love, the power of emotions is so overwhelming because instinctively in the source of those emotions we often see something more, something we believe superior to us and that’s why it may enslave our senses and consequently our mind. Dorian Gray‘ s incomparable beauty for example is worshipped by everybody, but it’s not only the perfection of his remarkable features and youth that is admired, that childish beauty seems to mirror the innocence and integrity of his soul. He is seen as the angel of goodness. Keats‘s knight is slowly entrapped by the sensuality of his “Belle Dame“. 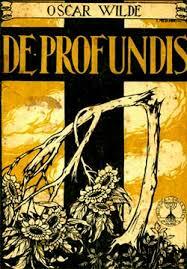 She is ” a faerie’s child” for him and quatrain after quatrain he falls under her spell of her and starts to lose the control of his actions. When he wakes up “la Belle Dame” has vanished, just like Grenouile’s scent, and realizes that he is all alone “on the cold hill-side“.